The need for such an elaborate arrangement for the protection of the dead arose in the 18th century when cadavers were in high demand in medical schools but short in supply. Back then, the only legal supply of corpses were those condemned to death and dissection by the courts. This wasn’t a problem during mediaeval times when hundreds were hung by the rope for trivial crimes providing medical students and surgeons a study supply of dead bodies to study anatomy with. But as times changed and barbaric methods of justice were gradually abandoned, the number of criminals who were sentenced to capital punishment came down drastically, creating an acute shortage of cadavers. Some people saw this as an opportunity and began to dig up dead bodies from graveyards and sold them to medical schools. Cemeteries responded by appointing men to keep watch over the graves. Sometimes the families of the dead who lay buried in the graveyard paid for these guards. Eventually they figured out that instead of spending night after night in the cold, wet and miserable, they could booby-trap the graves with guns and explosives. 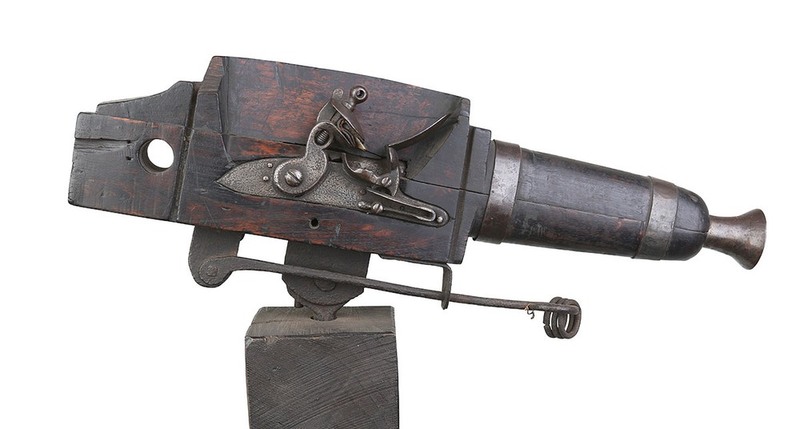 Spring-loaded guns that fired on any intruder when triggered by tripwires have been around since at least the 15th century. They could be armed and left active for as long as the powder stayed dry. The gun that became popular in cemeteries was designed by one Mr. Clementshaw. It had a large-bore, bell-mouthed flintlock affixed to a block of thick wood. The guns were fitted with iron pintles or swivels underneath, and had sliding trigger bars instead of conventional hook-shaped gun triggers that fired the gun when pulled forward and not backward. This allowed the forward motion of a tripwire to pull the trigger and fire the gun. At the front of the bar were usually three iron rings, allowing the trigger to be connected to up to three tripwires. The gun would be loaded at night and left armed by the cemetery keeper. In the morning, it would be removed so that cemetery visitors during the day wouldn’t trip it. Many crafty grave robbers would send women to the cemetery disguised as mourners and report on the position of the pegs to which the wires would be attached. Cemetery keepers defeated this by waiting until sunset to set up the gun. From the 1860s through the 1890s, body snatching became a big problem in the United States, and cemetery guns evolved into a more fatal defense to fight the menace. One design invented in 1878 required an armed shotgun to be placed inside the coffin. When the lid was raised, it showered the thieves with lead pellets right on the face. 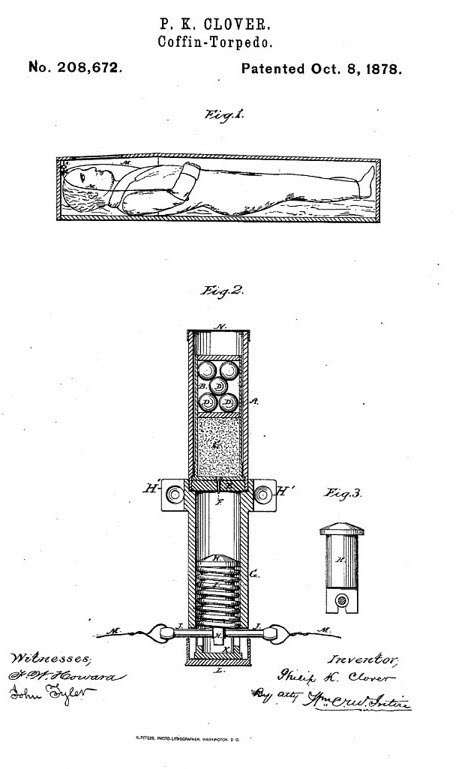 Another invention, called “Coffin Torpedoes”, was essentially a landmine placed underneath the coffin. When the coffin was disturbed, the charge would detonate, tearing apart the grave robbers including the very cadaver they were trying to protect. At least three men were killed when one such device exploded at a cemetery near Gann in Knox County, Ohio. 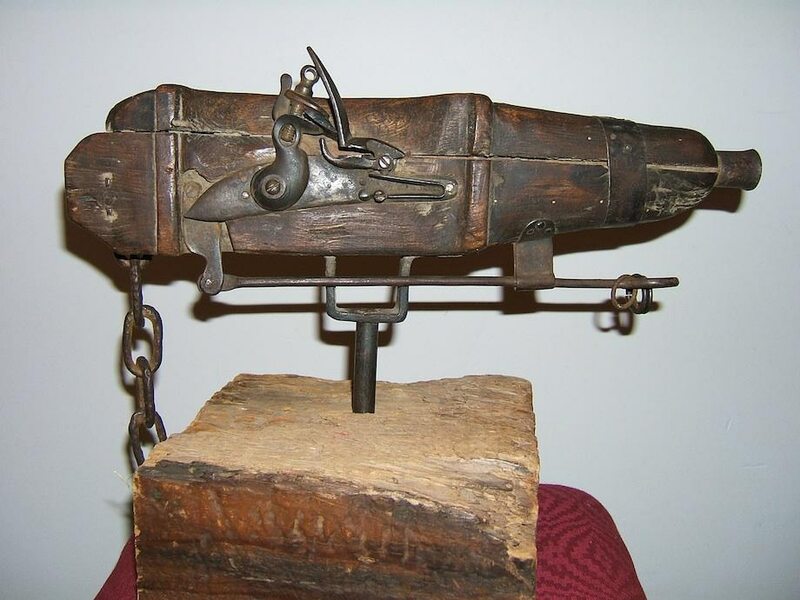 While things like “cemetery guns” and “coffin torpedoes” are often seen as artifacts from a past era, body snatching as a trade is not entirely over. 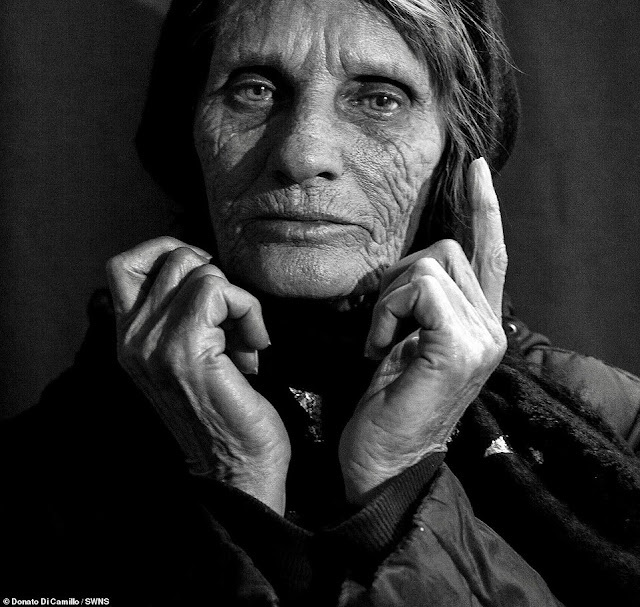 In India a network of body snatchers operate to this day, removing skeletons from graveyards in order to sell them to universities and hospitals abroad. For the last two hundred years, India has been the world’s primary supplier of bones used in medical study the world over, including the United States and Britain. The country is renowned, as per a report on Wired, for producing specimens “scrubbed to a pristine white patina and fitted with high-quality connecting hardware”. Not even China or Western Europe can produce such high-quality specimens. The trade is illegal and has been banned by the Indian government, but as long as there is a demand for skeletons, body snatching will continue to thrive.